TAMPA, Fla. -- Down a touchdown with less than two minutes remaining and a long way to go, Kirk Cousins found a way to give Michigan State a parting gift. A cornerstone of coach Mark Dantonio's rebuilding project, Cousins led a late rally in the fourth quarter and Dan Conroy kicked a 28-yard field goal in the third overtime to lift the Spartans over the Bulldogs 33-30 Monday in the Outback Bowl. Michigan State (11-3) ended a five-game bowl losing streak with its first postseason win since beating Fresno State in the 2001 Silicon Valley Bowl. To do it, the Spartans -- who had been 0-4 in bowl games under Dantonio -- overcame a 16-0 halftime deficit and scored the tying touchdown with 14 seconds left in regulation. "All week, all month, really, there was a sense of urgency in our preparation because the fact that for me as a senior, this was the last shot. Certainly all game long we felt that same way," said Cousins, who completed 27 of 50 passes for 300 yards and was intercepted three times. He was at his best during the tying 85-play, 10-yard drive in the closing minutes. "And at halftime we had our doubts because of how successful their defense was in stopping us. ... But we found a way. It wasn't perfect, but we certainly showed character, and that's what I'm most proud of," Cousins added. "We played with a great deal of maturity and toughness, and we weren't afraid. We didn't back down, and we found a way at the end. And that's what great teams do." Georgia's Blair Walsh became the Southeastern Conference's career scoring leader with a field goal in the second extra period. But he missed a 42-yarder in the first overtime after conservative play-calling and had a 47-yard attempt blocked on the final play of the game. The Spartans handed the Big Ten its lone win in three bowl matchups Monday against SEC opponents -- Florida beat Ohio State and South Carolina stopped Nebraska. "Big win against a great football team, against an SEC team, against a team that won their division and that was 10-2 in the regular season. ... There's not a football team that we cannot play with and not win against. We've done that," Dantonio said. "We've beaten every football team in the Big Ten in the last four years. The standard has been set by our seniors. ... Two 11-win seasons, There's not too many football teams in the country that are saying that right now. I would think that this, hopefully, helps solidify a Top 10 ranking in this year's final polls." 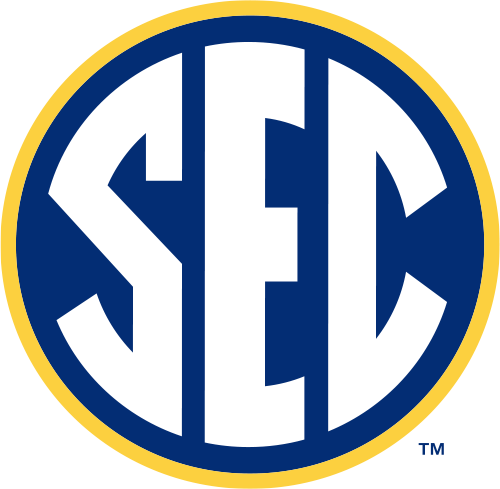 Georgia (10-4) finished on a two-game losing streak, including a lopsided loss to top-ranked LSU in the SEC championship game. The Bulldogs beat Michigan State in the 2009 Capital One Bowl, one of four bowl losses the Spartans had under Dantonio during their stretch of postseason futility. Cousins guided the Spartans on their late drive without the aid of any timeouts, and Le'Veon Bell's second touchdown of the game wiped out a 27-20 deficit. Cousins threw a 7-yard TD pass to Keith Nichol midway through the period and finished the day as Michigan State's career passing and total offense leader. Cousins leaves as the winningest quarterback in school history with 27, and 37 wins for the Spartans' outgoing senior class is a school record, too. The senior from Holland, Mich., was intercepted in the first overtime, giving the ball to Georgia. After the Bulldogs had a short run on their first play in overtime, coach Mark Richt elected to simply center the ball for a field goal try on third down, and Walsh's kick was wide. "It just went a little bit to the right. I don't know what pulled it that way," said Walsh, who moved ahead of Billy Bennett on the SEC career scoring list with 412 points when his 47-yarder that gave Georgia a 30-27 lead in the second overtime. "I'd trade all the points I could to just have three points (at the end) for us. I mean that." The Spartans' comeback overshadowed a standout performance by Georgia's Mr. Everything, Brandon Boykin. The cornerback scored a safety, returned a punt 92 yards for a touchdown and caught a 13-yard TD pass that helped the Bulldogs take a late lead that one of the nation's stingiest defenses couldn't protect down the stretch. Aaron Murray was 20 of 32 for 288 yards, one touchdown and two interceptions for Georgia. Back home and playing in a stadium a few miles from where he and Bulldogs teammate Orson Charles also starred in high school for Tampa Plant, the redshirt sophomore an 80-yard scoring pass to Tavarres King, who had six receptions for 205 yards. Boykin tackled Keshawn Martin in the end zone for a safety on Michigan State's first offensive play, converging on the receiver at almost the same time as Cousins' side screen. The 2-0 lead stood for Georgia until Murray made his long TD throw to King, who settled under the perfectly thrown pass at the Spartans 25 and never broke stride to get into the end zone. Less than two minutes later, Boykin brought Georgia fans to their feet when he settled under Mike Sadler's punt at his own 8-yard line and retreated to the 5 before cutting back toward the middle of the field, finding his way through a maze of defenders and outrunning the pursuit to score on the longest punt return in Outback Bowl history. Boykin's second TD, finishing a five-play, 81-yard drive fueled by Murray's 53-yard completion to King, put Georgia up 25-20. Murray's 2-point conversion pass to Malcolm Mitchell gave the Bulldogs a 7-point advantage before Cousins went to work and revived Michigan State's hopes. The Spartans were limited to two first downs and just 72 yards total offense to trail 16-0 at the half. Cousins finally got them on track after the first of Darqueze Dennard's two interceptions set up a nine-play, 48-yard drive that Bell finished with an 8-yard touchdown run. Dennard's 38-yard interception return for a touchdown threw Michigan State within 16-14, and Cousins' TD pass to Nichol gave the Spartans a short-lived 20-19 lead. Boykin had 183 all-purpose yards, including four kickoff returns for 70 yards and 8 yards rushing on two carries. The senior said he'd trade of all his production if the Bulldogs had been able to finish off Michigan State. "Of course I'm upset right now that we lost and I'll never get to play a college game again," Boykin said. "Without a doubt, I'd take away my performance if we can get a victory."